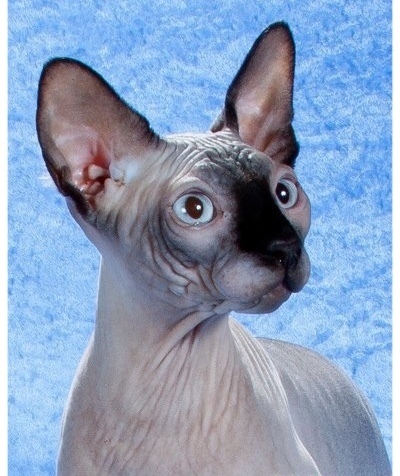 In addition to the sphynx cat being nearly hairless, it is the sphynx’s intelligence, affection, and playfulness that make them unique among felines. 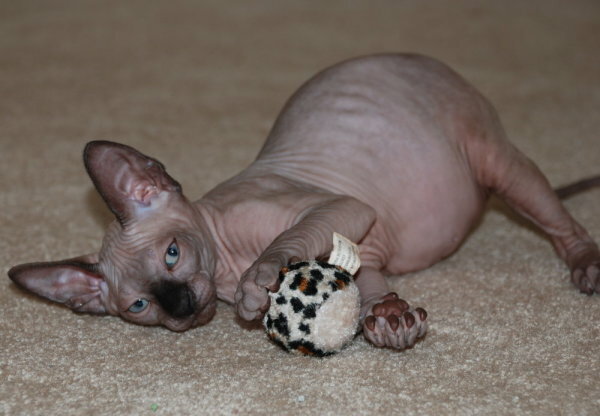 Sphynx cats and sphynx kittens have a fine down on their body, or some hair on the paws, nose, tail, or outer ears. The feel of their skin can be compared to that of chamois or somewhat rubbery. Some people who suffer from cat allergies can tolerate living with Sphynx cats. 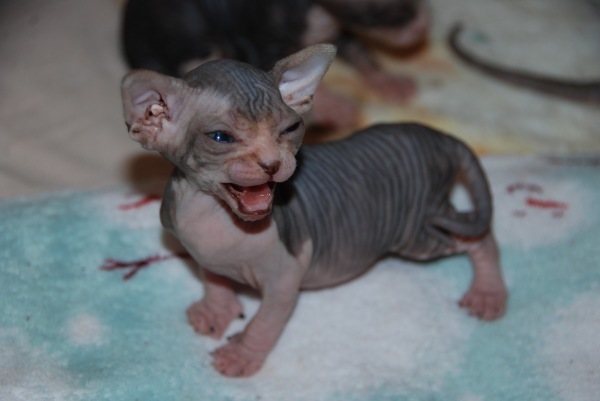 However, depending on the type and severity of the individual’s allergic reactions, there are still people who cannot live with sphynx cats or sphynx kittens. It is always recommend that you visit a breeder to see if you have allergies to the sphynx cat. Sphynx cats and Sphynx kittens get along great with other pets. They quickly adapt to other cats, dogs, or any other pets in you household. Two sphynx are always better than one! Sphynx cats and sphynx kittens require a lot of attention and can get very lonely when left alone.